SMS Varanasi was formed in the year 1995 and has been striving to create excellent learning ambience through innovation in teaching, research and consultancy for producing professionals capable of answering global challenges and demonstrating high ethical and moral standards. SMS Group, through SMS-Varanasi, SMS-Lucknow & SMSIT-Lucknow, is involved in providing quality management and technical education of par excellence since 1995 and with its school ranked in the top A+ category Business School list consecutively since 2001. Consultancy Cell is yet another initiative taken up by SMS Varanasi in bridging the gap between the industry and the academic world. We offer our services into the un-chartered territories involving research, training and project executions in diverse fields. We are the largest resource pool of academicians, researchers and industry trained professionals in this part of the country with over 200 years of combined experience in the field of management. We look forward to partner with you for consultancy services in the field of Applied Management and Technology. 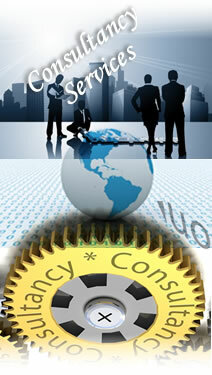 Our Consultancy service encompasses all the 5 Vowels (a, e, i, o, u) of management development. Our services takes care of all the major functions of management at the stage an idea, a concept, an organization or an entrant industry is about to appear. Read more.. When enhancement of business or idea is the requirement, our enhancement portfolio would take care of all your needs. Read more..
As the winter sets in, the need is for the fire to re-kindle the business opportunities; our ignition portfolio is all that is required for your business to set its glow on to you. Read more..
Operations are the back-bone of any industry. It may not increase the top-line but the bottom-line rests on the firm foundation of operations. Read more..
How else do you make an impression, without causing undulations in the pond? Checks and controls are bound to cause ripples but they are essential to know the buoyancy of our business. Read more..
We invite proposals for joint consultancy project, in various fields of expertise. For details, you may please contact us separately specifying your areas of interest.